Our Mission: to promote the utilization of Physician Assistants in the delivery of exceptional care to people with cancer and related disorders. 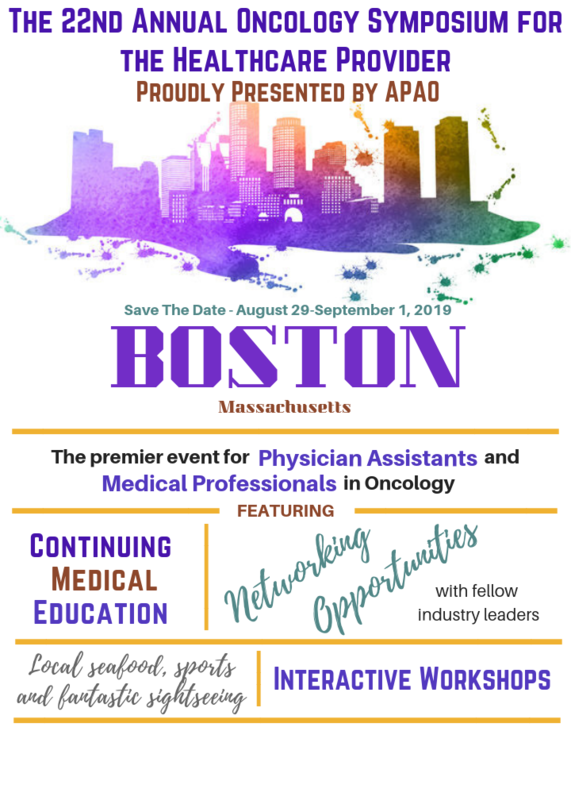 The Association of Physician Assistants in Oncology (APAO) is a non-profit 501(c) specialty organization affiliated with the American Academy of Physician Assistants (AAPA) that consists of physician assistants working in the field of oncology. It is the only national organization representing PAs specializing in oncology. Our members work in all oncology disciplines and practice in both clinical and research setting. 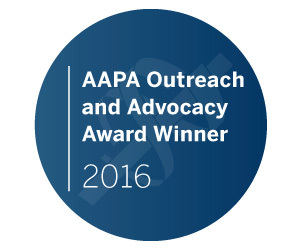 APAO is proud to initiate a Lifetime Achievement award to be presented at the APAO Annual Conference. The award will recognize an exemplary PA who has served in the field of oncology. Nominators will be required to submit a complete Nomination Form by March 15, 2019. CLICK HERE to read the complete description of requirements. CLICK HERE to access the award nomination form. More opportunities to get involved in the organization that represents you--the oncology PA! Check out our member categories page for more information! Member Engagement: APAO Needs YOU! The strength and future of the APAO depends upon dedicated members! Please consider volunteering your time and talents to APAO projects, efforts, or committees! 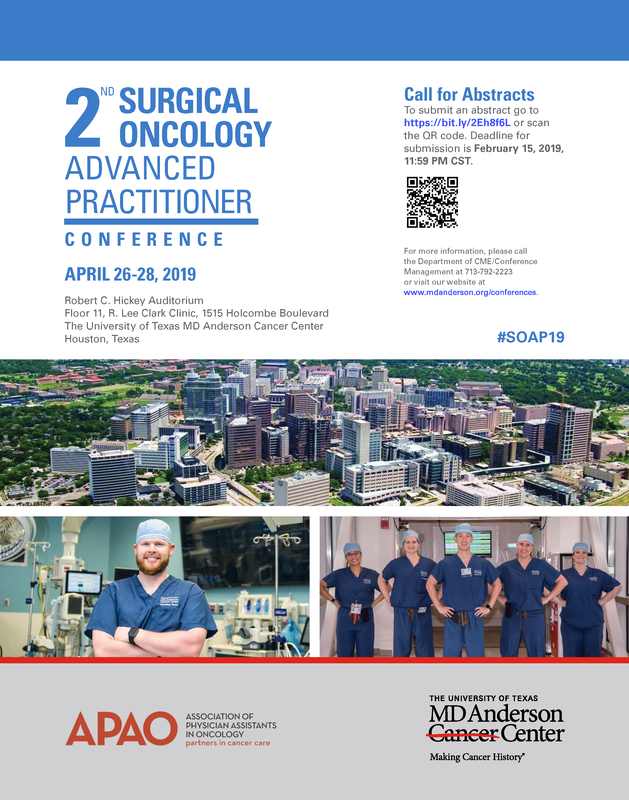 You can make a difference with APAO while building your network of contacts, strengthening your resume and qualifications, and helping to promote the oncology PA profession and ultimately improving patient care. Would you please consider joining our APAO volunteer workforce?